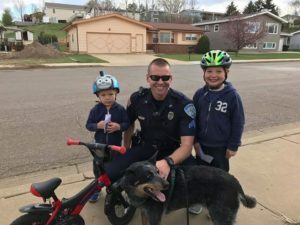 With the community as our foundation, the Dickinson Police Department is committed to excellence developed through pride and earning a reputation for providing professional, caring, and courteous service. We are dedicated to a philosophy that promotes community involvement in problem solving and developing solutions that improve the quality of life for our citizens. We are committed to the values of the community we ethically serve with passion, respect, and proactive education while strengthening our bond through personal community involvement, and effective crime prevention. Our team will be flexible and innovative, yet maintaining prudent fiscal responsibility through wise use of resources. 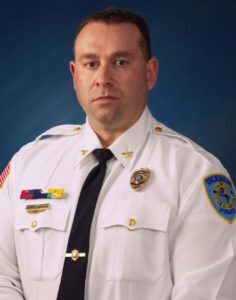 To fulfill our mission, the Dickinson Police Department is committed to providing a quality work environment and development of its team members through leadership and professional skill development, keeping in mind that our strength is our people and our goal is a safer community. To act at all times with courage, honor, and truthfulness. Supporting our community, coworkers, and the law with dignity and compassion. Proudly partnering with the community, we will be the model of an innovative team dedicated to providing quality service and quality protection while compassionately and respectfully performing our duties.